How do you feel when waiting for some page on the internet to load? Well, we don’t care to bother with such slow sites that takes a long time to load. With so many results on the search engine result page, we’ll quickly click on some other link and navigate away. Because the search engine already provides your visitors with the alternatives to your pages. So here, they have a choice. They can quit waiting on your web pages and go to some other site, and that is really bad for your website. Also, a slow and unoptimized web site adversely affects SEO and it can take a toll on your search engine ranks. Therefore, optimizing your website for speed and performance is vital for a good ranking, user experience and ultimately your website’s performance. Is your WordPress theme slow? Check the theme demo thoroughly to make sure that the pages are loading quickly. You may optimize your content but what if the theme you’ve chosen is not speed optimized. Most of the premium WordPress themes are coded and designed to ensure that the website created using these themes are faster. They usually assure you that the theme is speed optimized. However, if you try out different optimizations and still aren’t sure about what is causing the problem, you can check by changing the site’s theme (But don’t forget to back up your complete site before you change anything). If your website is performing better with some other theme, then you should probably get a new theme. To avoid all this at a later stage, you must pick up a theme that is performance optimized. If you are not sure about the speed and efficiency of your theme, you can contact the theme support and ask them directly. Browse this list of Speed optimized and fast loading WordPress themes. The very first thing that matters is the hosting service you choose. Choose a reliable, secure and proficient hosting service that has fast services. Sometimes, website owners keep checking their own site for faults but the actual culprit is the server that the site is put on. If the servers are slow and the technology they use is outdated, or the server is somehow incapable of handling the requests, then it directly affects the performance of your site, regardless of how much you optimize it. Choosing a proper hosting service based on your website’s requirement is always the most important decision. Because a poorly performing host can directly deteriorate the overall credibility of your website. However, the modern hosting services, as well as the competitiveness among the hosting service providers, has an advantage for the site owners. They strive to provide better and efficient services at a competitive price. Therefore, nowadays, you can get a very reliable hosting at an affordable price. A host that has a quick response time, maximum uptime, and high page load speed is ideal for any kind of website. Most of the reputed WordPress theme providers now come with WordPress optimized hosting services. You can subscribe to the optimized hosting that has features specially designed for optimal performance of your WordPress site. In short, it is hosting that compliments your WordPress site. Such hosting service is affordable as well as allows one click WordPress install. However, you can choose any kind of hosting service based on the niche of your website. If your website is a data intensive website then you need a high-end server or maybe use a CDN for faster results. Even cloud based hosting can be great for such sites. 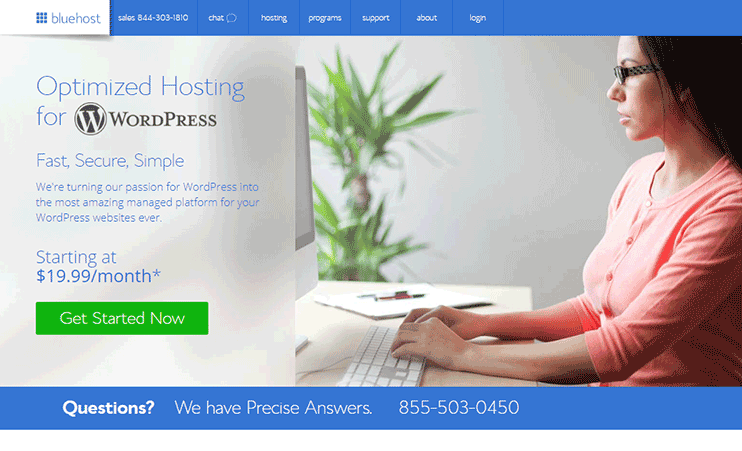 We recommend Bluehost for the best hosting for your WordPress website. Images play a vital role in the SEO of your website. But did you know that the same images can harm the efficiency of your website if not optimized properly? It is generally recommended that you use high quality and relevant images on your site, and that is true? But when you use very high-quality images on your website, they increase the page load times. Image optimization! It is the way we can use high-quality images on your website without increasing the page load. Following are a few of image optimization techniques. You can compress the images on your website to reduce their size. But what if the compression degrades the quality of an image. But there are some smarter tools that let you optimize the images on your site without making it appear blurry. However, there are many WordPress plugins for image optimization. The following are the best image optimization. As the name suggests, this is a plugin for compressing an image and reducing its size. Smush has a free version that you can use without paying anything. Smush Pro is a premium plugin with which you can avail more optimization features. This plugin is the best for lossless image compression on your website. The EWWW image optimizer is free to use and totally safe for your website. However, there are many other plugins that can help you with the optimization of images on your website. Resize your images to the size you would like to use on your website. This saves disk space and improves the page load speed. For instance- the size of an image to be displayed on the website is 300×350 but the actual image size is 600×650. Now when you upload this image it’s size will be 600X650. But the image displayed on your web page is resized by the on-page code or the CSS and sized to 300×350. So, the best practice is to use resized images as per the requirement on your page. Image optimization is a practice that can really help your SEO ranks. It can substantially reduce your page size and increases the page load times. Therefore it increases the speed of your page load and therefore contributes to a better user experience. Informally, CDN which means content delivery network or content distribution network is a network of proxy servers and data stores that strive to provide faster results to the end users based on their geographical locations. AWS – The Amazon Web Services, MaxCDN, CloudFlare, Rackspace, etc. You can subscribe to one of these services to deliver faster services to your visitors. 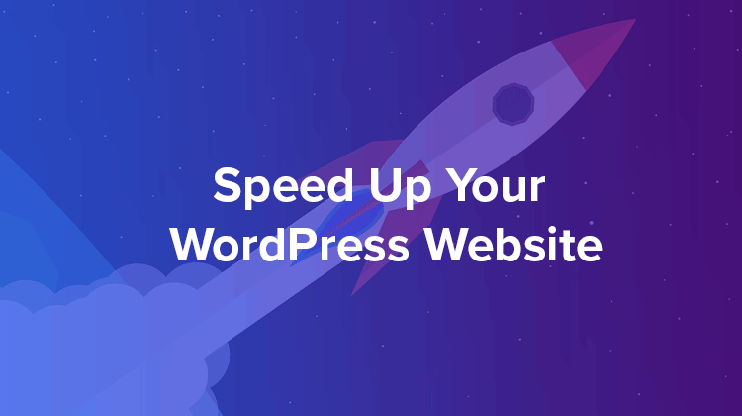 There are so many ways you can optimize your WordPress website to perform faster. But nothing is as effective as Caching. It is a technique through which you can provide Cached pages or saved pages and directly improve the page load speed. How caching helps to speed up the page load time? Basically, when a visitor clicks a link on your website, a request to open the linked page is sent. The page is loaded with lots of scripts, codes, and procedures running in the background. This is how the pages are loaded dynamically. However, what caching does is it creates a static version of the page. So when you click a link or enter the URL, it checks if the static version is available. If it is available, it will eliminate all the background processing to load the page and instantly show you the static version of the page. Thereby reducing the page load time and providing quick results to your customers. Enhance the user experience by implementing CDN delivery, performance optimization, reduced page load time, improving download speed, etc. W3 Total Cache is a free plugin for WordPress with multiple functionalities that focus on improving the performance of your website. WP Super Cache, again, is a free caching plugin. If all you want for your website is to generate static HTML versions of your pages and load them instantly then this plugin is your best bet. Super Cache is one of the most widely used WordPress Caching Plugin. Hyper Cache, like any other WordPress Caching Plugin, solely intends to improve your website speed by generating cached pages. Hyper Cache is easy to use and is optimized for any kind of WordPress blogs. WP Fastest Cache tries to speed up your website by using caching along with other optimization techniques. WP fastest cache has a free version that you can try at first. For the best impact, you can go for WP Fastest Premium that has advanced optimization features like Minifying JS, database cleanup, image optimization, etc. WP Rocket is an efficient Caching plugin that is much more than just a caching plugin. It minifies your CSS, JS, has other advanced features like images on request, file compression, etc. it is a premium plugin and you can buy it at a nominal cost of $39. Also, when you are sure about all the things going well with your site but it is still slow, you can go for a much-needed website cleanup. Just like your wardrobe, or any of your storage space, even your website needs a cleanup once in a while. This can be deleting unnecessary pages, drafts, unused plugins, etc. This reduces the load on your website and the required resources are freed. After a while of staying there, your website will have a lot of unused images, unused plugin, or saved drafts, or any junk, that doesn’t have to be there on your site. Also, delete the unnecessary images and repetitive images. Navigate to the folder where you keep all your images. Check for the redundant images or images that you no longer use. Cleaning up your site is important because these files and plugins consume your resources. And having them on your site has no advantage anyway. It’s difficult to tell, what actually is wrong with your website when it becomes too slow. Whether it is because of an inefficient theme, or some plugin you added that is causing trouble. But a slow website is as bad as a no website. Even if you start raking for a while, the inefficiency of your site can make you lose your search engine ranks. Therefore, speed optimization of your site is a must. It helps SEO, it helps improve the user experience, and it boosts the usability of your website. Speed is just as important as brilliant content and design. And you should keep this in mind all the way! You can speed optimize your website with these DIY steps on your own, or you can hire a website speed optimization service to make your website speedier and junk-free. Anyhow, making sure that your WordPress website is fast, is very important. Are you doing enough to optimize your blogs and make it more impressive for your readers? Here are the best blogging tools for WordPress for an efficient blogging experience.